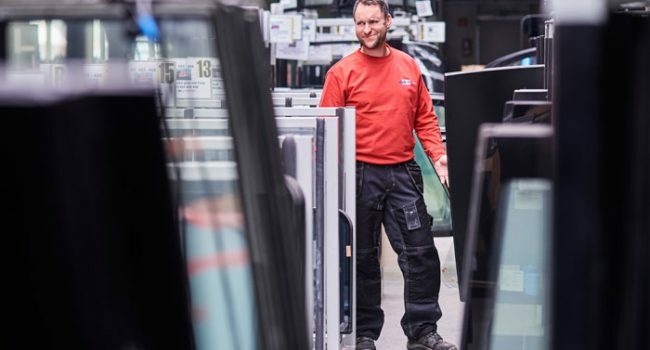 With its 15,000 square metres, we maintain Europe’s largest glass warehouse. We store panes for all trains and railway vehicles such as windshields or side-windows so we can respond immediately if necessary. No expensive warehousing for you. You haven’t got any capital commitment. We deliver every pane in high quality and to favourable prices (from front windscreens via side panes to special panes such as emergency exit windows). You get original equipment with all required permits as well as with the specification sheet. No more risk of glass breakage for you. Permanent access to our stock guarantees a high delivery reliability in a minimum of time.